Nothing says Autumn like an apple. Over the last few years, it seems to me that there's been an explosion in the varieties of apples available to consumers. I am not sure if this is something new or if it's something I am just noticing because of my new found love of apples. We all know of the Granny Smith and the Golden Delicious. Lately going to stores it seems, even locally, one can find Fuji, Braeburn, Honeycrisp, Pippin, and Arkansas Black. There is even an apple that is bred to taste like a grape. This Grapple has a very distinct flavor. It is a Fuji apple that is infused with concord grape juice. Either way, all of these varieties are so distinct I know I could pick them out of a line up or blind tasting. I am not sure how they maintain the consistency of these labeled varieties. Do they set up "appleations" like wine regions set up appellations? In wine regions they set rules, that in order to call a wine a specific name, it needs to have "x" amount of a type of grape, and "x" amount has to be grown in that region. Internationally, this is usually enforced by law. Also something I can see happening in the Uptown's future is using different apples for specific cooking purposes. See the following link for recommended uses for different varieties. 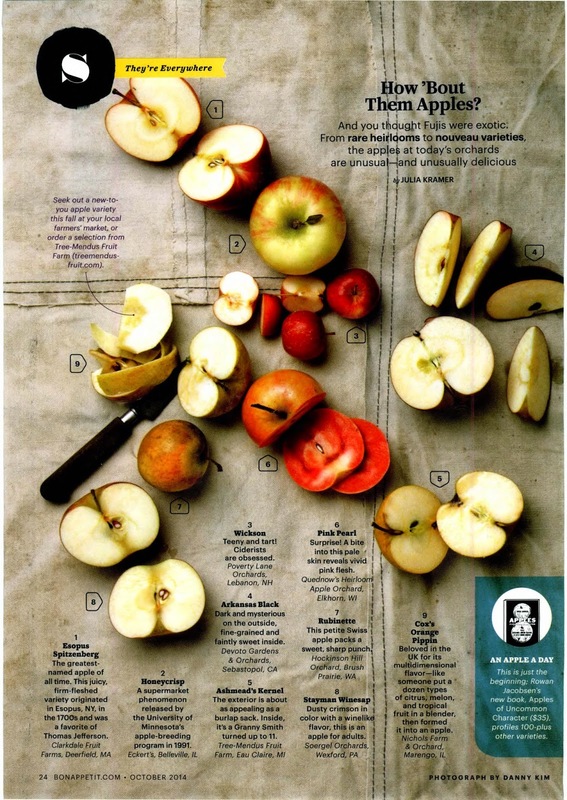 Whether your use is raw as a snack, as part of a salad or dessert, or in traditional apple pies or sauce, we now need to compare apples to apples.